Students from St. James the Apostle Catholic School, Glen Ellyn, helped transform Marklund Day School’s driveway into a fun-zone, complete with a bowling ramp, giant Ker Plunk game, T-ball, and other fun activities. The 20 sixth- and eighth-graders, along with two teachers, an aide and parent, came to Marklund in Bloomingdale, on May 11, as part of St. James’ 5th annual Day of Service. They got acquainted with students as they oversaw a chalk drawing station, a noodle javelin game, Bozo buckets, and more. “The goal is for students to learn to be community contributors, and to show love for their neighbors,” said Sara Simandl, foreign-language teacher at St. James. 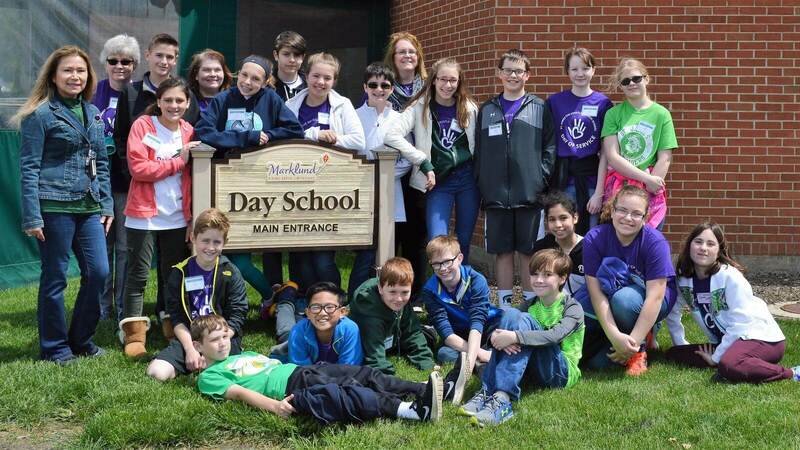 In addition to volunteering at Marklund Day School, students from other grades did yard work and served at a nursing home, food pantry, Feed My Starving Children and other sites throughout the community.